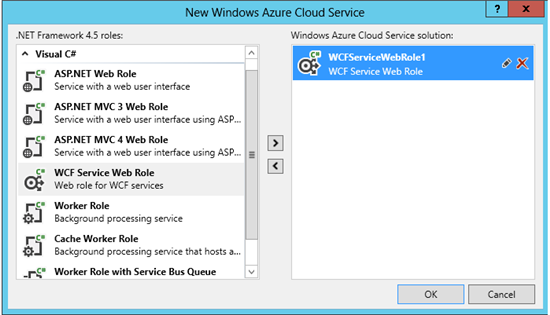 This sample demonstrates how to integrate web application running on-premises or in the cloud with two ways WCF Service, via Azure BizTalk Services. 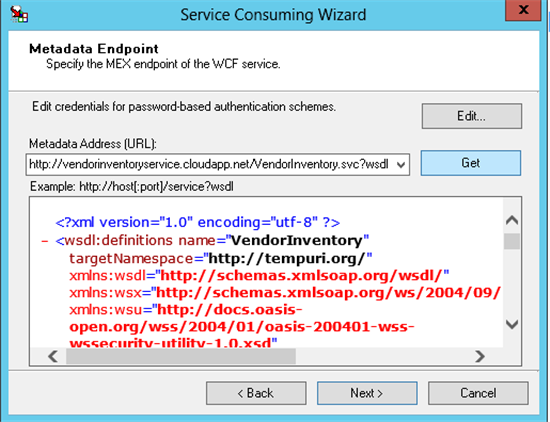 Contoso wants to integrate his own web application with vendor inventory service. 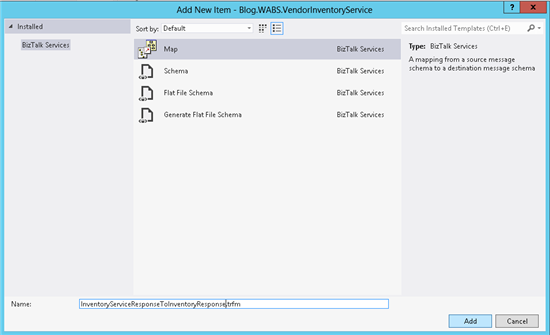 Send Request to Vendor Inventory Service . 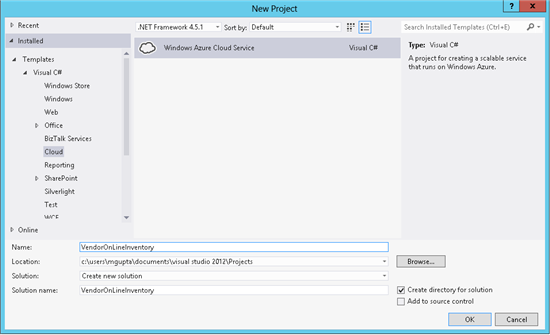 Create a Windows Azure Cloud Service Project. 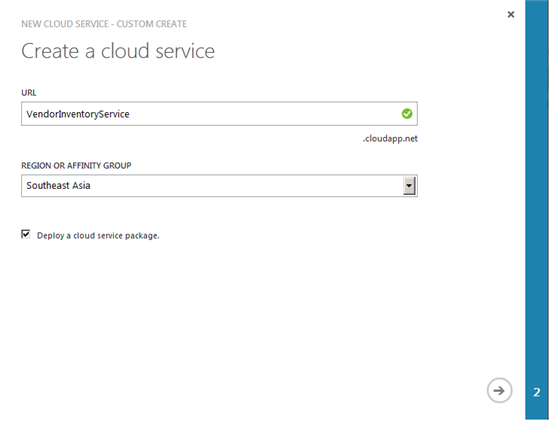 Change The Iservice class to IVendorInventoryService. 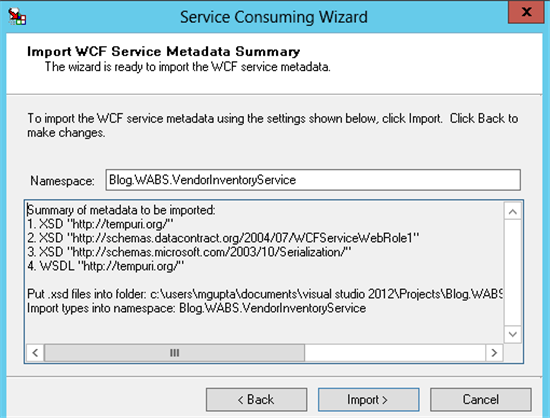 Change the code for VendorInventoryService. Create the Package to deploy on Cloud. 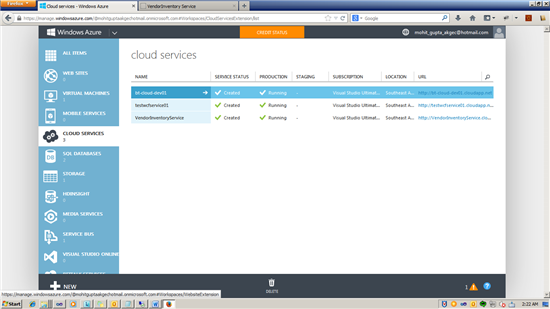 Log on to cloud portal. 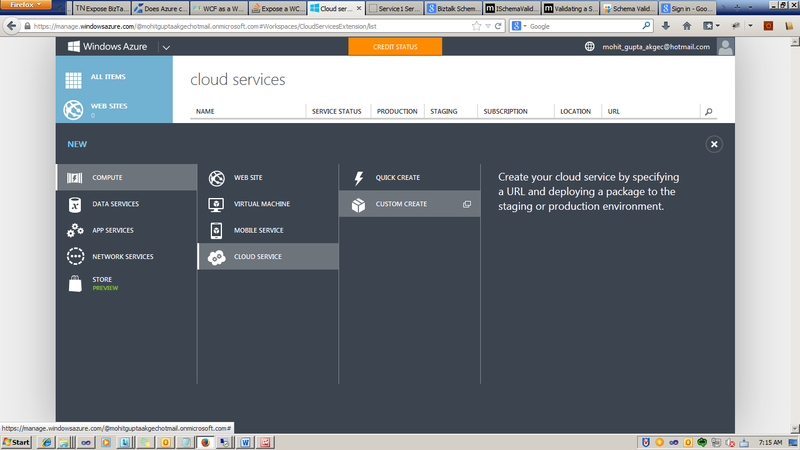 Click on New Cloud Service. 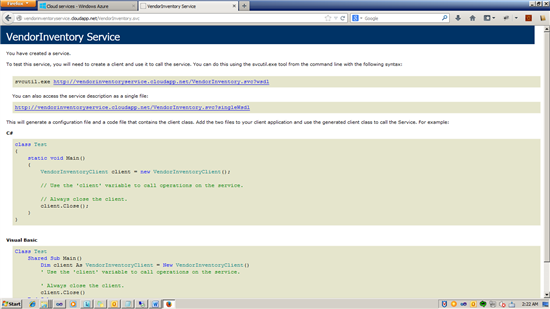 Enter the name of Service. 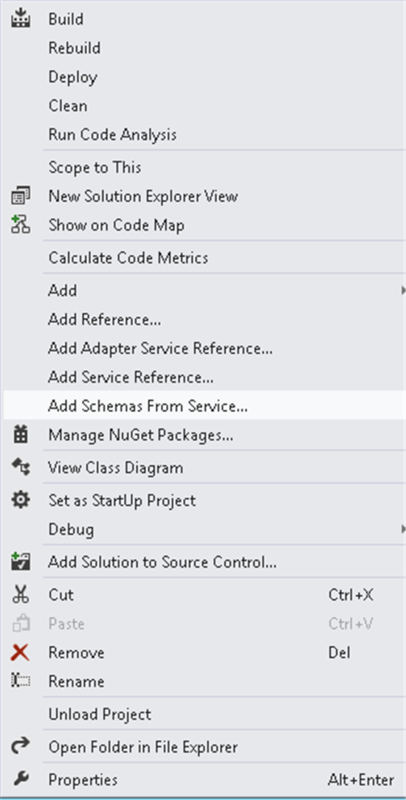 Click the “Deploy even if one or more roles contain a single instance”. 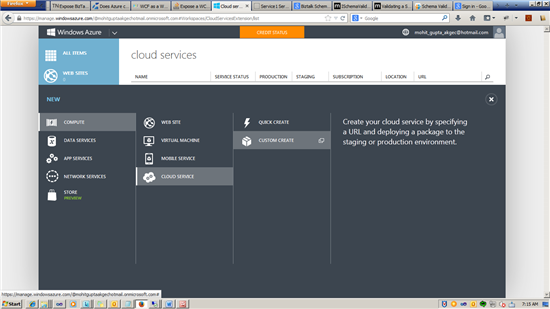 You can check in IE if the Service is hosted properly. 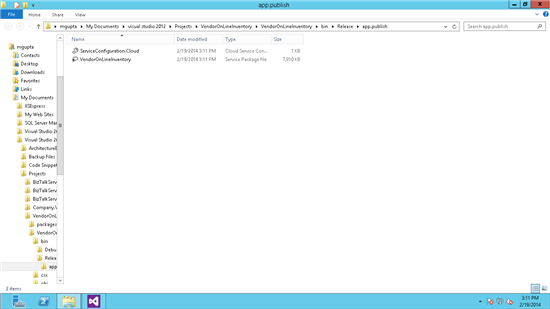 Test the WCF Service using SOAP UI. Create the BizTalk Service project. 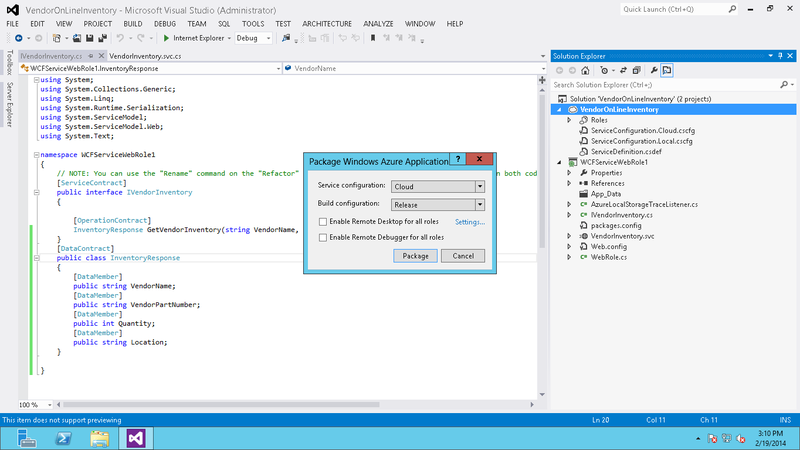 Create Input Schema for receive request from web / HTML Application. 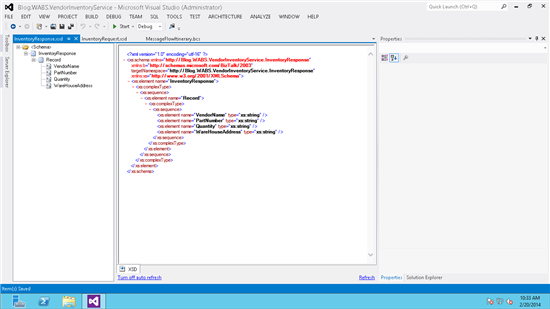 Add another XML Schema Inventory Response. Create XML Structure for InventoryResponse. 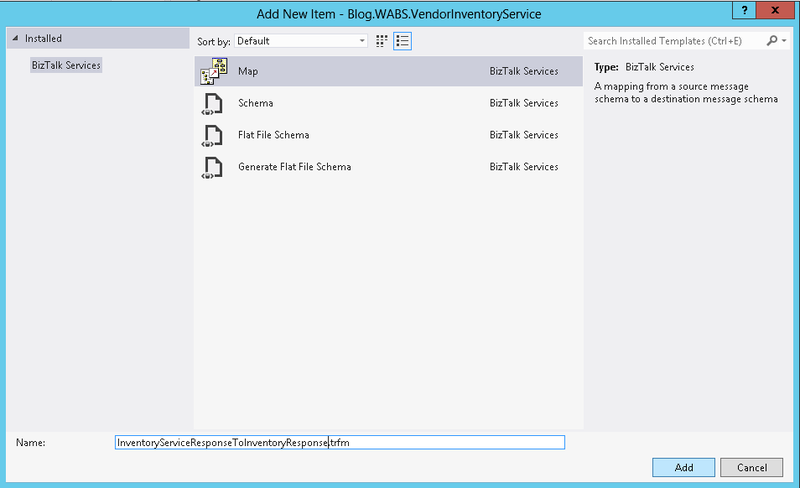 Generate Schema for Service using add Schemas from service Wizard. 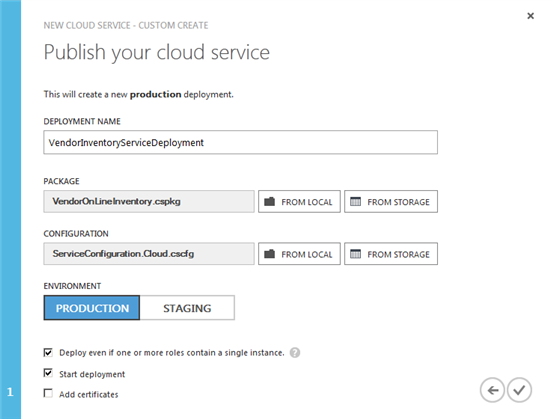 Enter the end point of service. 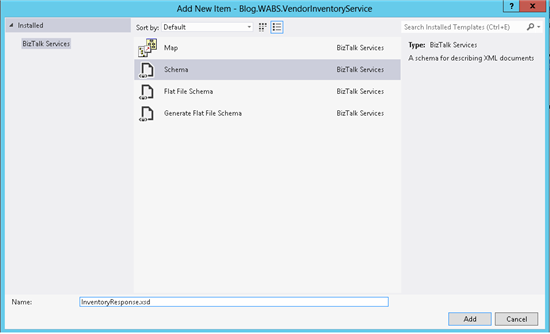 Click on Get and Import , to include schema into solution. 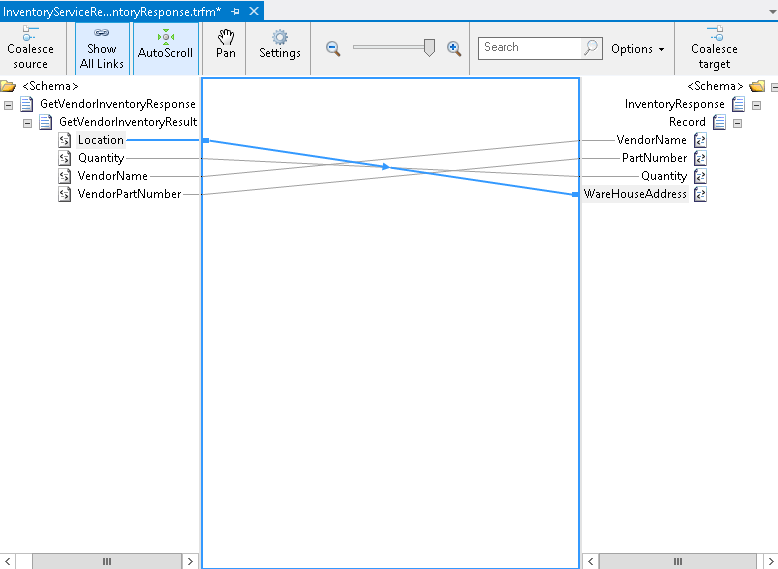 Create Map for convert Inventory Request to Inventory Service Request. 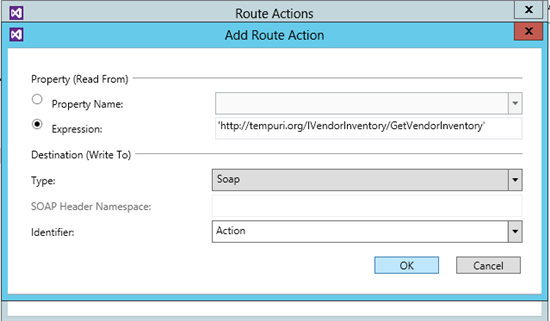 Create Map for Inventory Service Response to InventoryResponse. 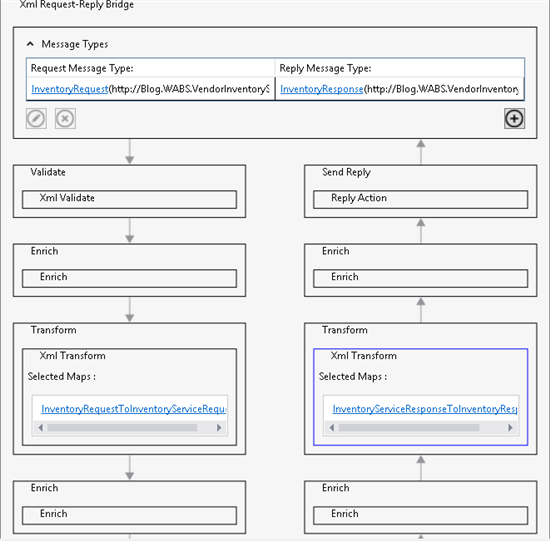 Configure Message Type of Request and Response of Bridge. 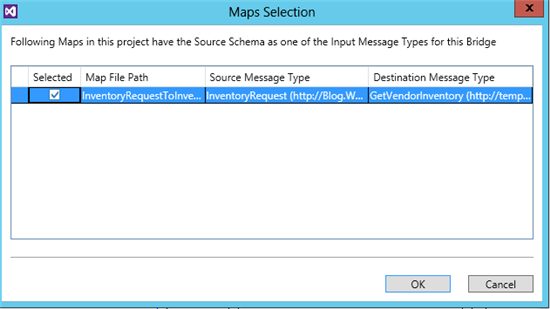 Configure Map for Request Message. 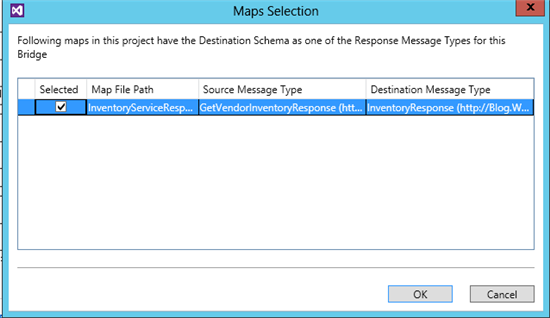 Configure Map for Response Message. 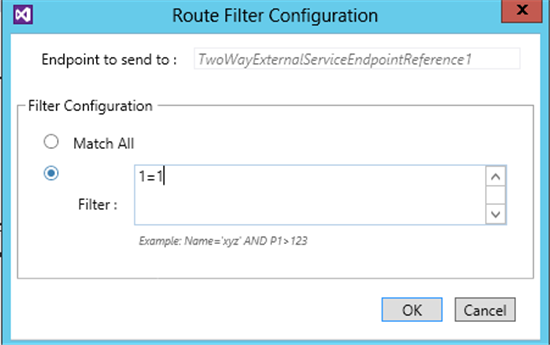 Set the runtime address of Two Way External Service. 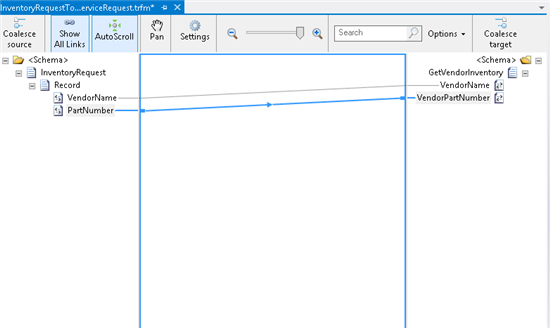 Set the filter condition of link. 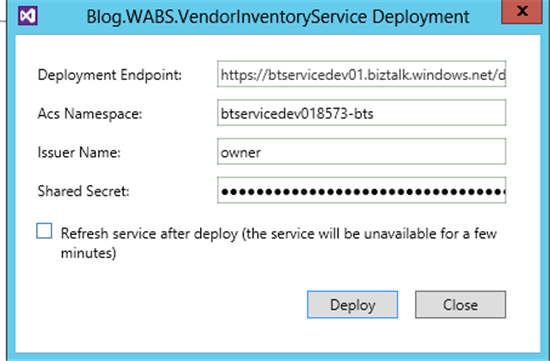 Set the BizTalk Service URL of MessageFlowIternary. 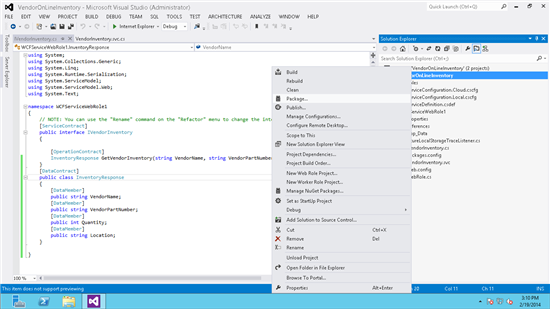 You can check if the application is deployed properly by checking in the Portal resources. 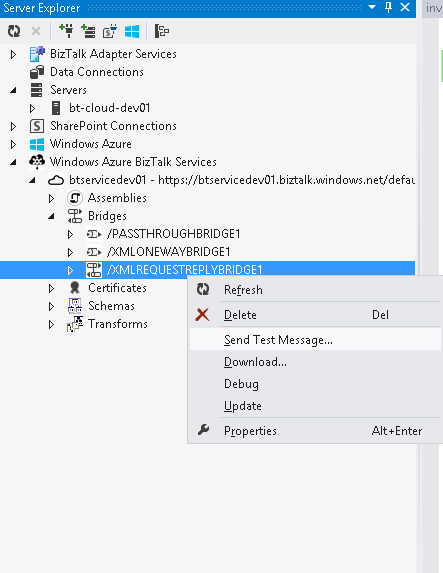 Send Message to Bridge using BizTalk Services Explorer. 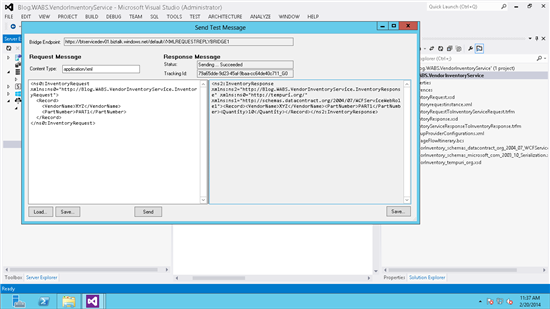 Load the Sample Instance and Send the request. The message with Action '' cannot be processed at the receiver, due to a ContractFilter mismatch at the EndpointDispatcher. 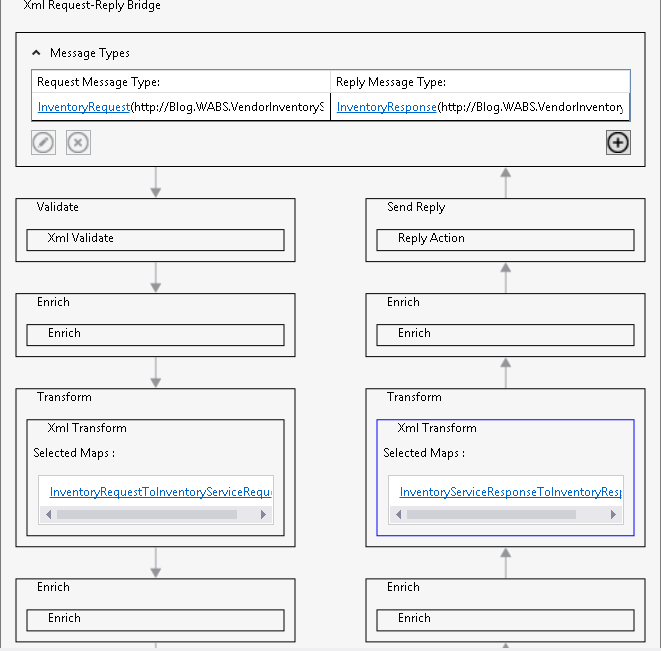 This may be because of either a contract mismatch (mismatched Actions between sender and receiver) or a binding/security mismatch between the sender and the receiver. 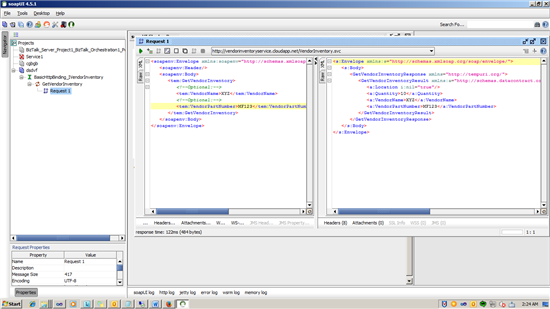 Check that sender and receiver have the same contract and the same binding (including security requirements, e.g. 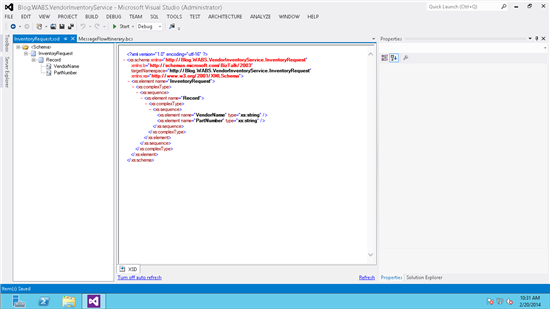 Message, Transport, None). 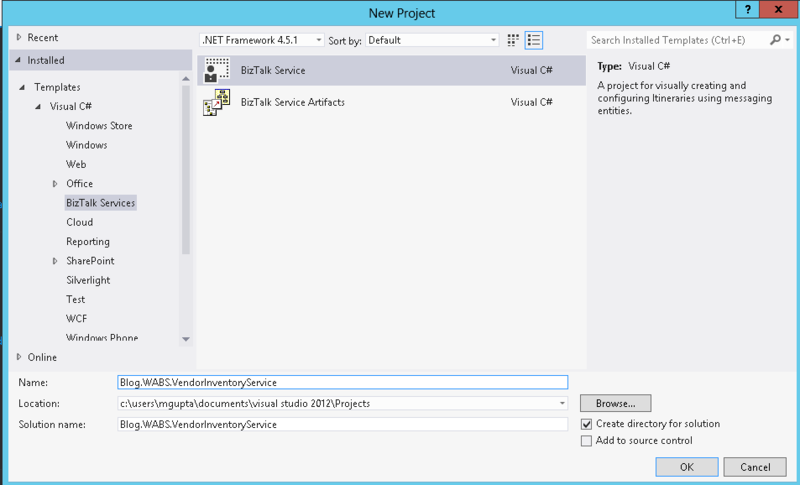 For documentation on BizTalk Services see Azure BizTalk Services documentation.